February 12, 2018 By Erika C.
It has been a positive start to 2018 for AquaGrove, meeting and creating partnerships with students and schools nationwide. With AquaGrove being based in Detroit, Michigan, it offers a chance to support and give back to the community and schools closest to home. 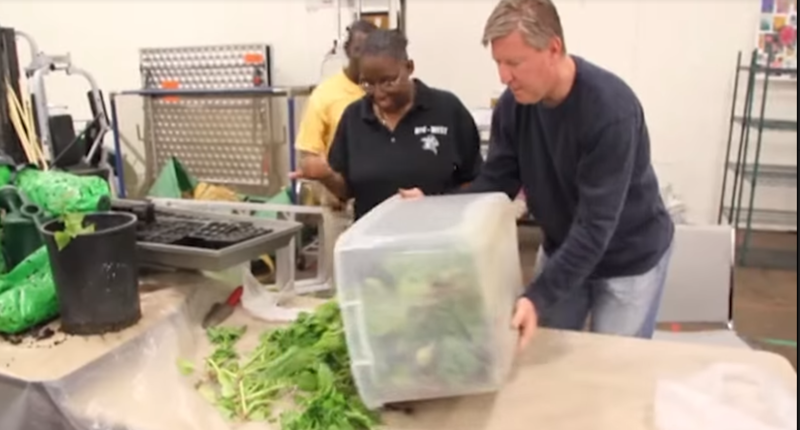 Just a short distance away from the production facility resides a school that is serving students with the greatest needs in learning, all while running a sustainable and one-of-a-kind horticulture program. The school is Charles R. Drew Transition Center , and their program is one of the premier school-based horticulture programs in the country. Charles R. Drew Transition Center is a DPSCD (Detroit Public Schools Community District) school providing instruction that meets the needs of the special education adult learners 18-26 years of age. Their vision is to provide education that makes it possible for their students to acquire vocational and daily living skills that lead to employment and full inclusion into community life. 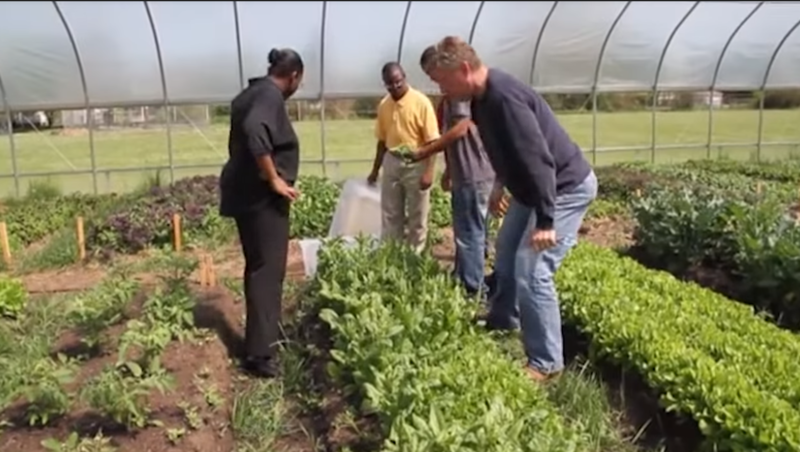 In addition to their vocational mission, The Drew Horticulture Program is a year-round market garden program existing for the dual purpose of providing educational, vocational and life skills in a horticultural-based setting, while providing fresh and locally-grown produce for students, families, and the local community; they are able to reach the community through the in-school farm stand, donations to local food pantries, and sales at Detroit’s Eastern Market, the largest historic public market district in the United States. 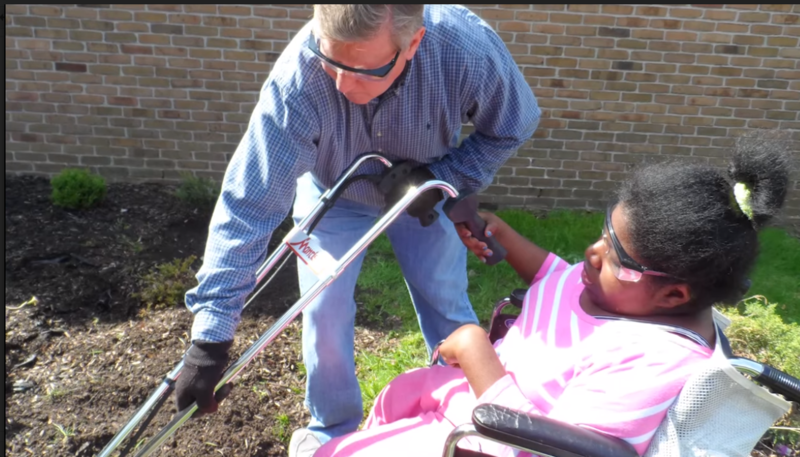 At the center of the school’s gardens and impressive efforts is Michael Craig, a Detroit Public School Special Education Teacher and Director of the Horticulture Program at the Charles R. Drew Transition Center. Mr. Craig is the recipient of the 2015 Educator of the Year award given by the Michigan Lottery’s Excellence in Education Program and a finalist for the 2015-16 Michigan Department of Education’s Teacher of the Year Award. Mr. Craig is looking forward to getting students acquainted and started with AquaGrove; he stated that “the unit is fantastic and already generating a lot of buzz from staff; we can't wait to let the horticulture world know about it!” He continued by noting that the AquaGrove is now up and cycling and seedlings have already started to grow in just a short week or so. The AquaGrove will be a signature piece of their total program, with potential to be integrated into their partnerships with local restaurants and businesses. While they may eventually incorporate tilapia, they will be starting out with Koi and Goldfish. AquaGrove is pleased to be in a position to donate to causes and schools such as Charles R. Drew Transition Center. We look forward to learning more of their progress and the valuable role the AquaGrove has in their impressive and impactful horticulture and educational programs.